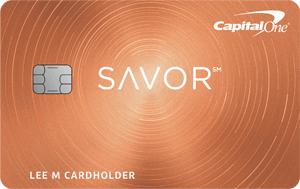 Credit card companies are desperate for you to use their cards. Some of the welcome bonuses they offer are ridiculously high, easily surpassing $1000 of value. For military servicemembers and spouses, the benefits are even greater since annual fees are waived on Chase personal cards and all American Express cards. You can earn free hotel stays, almost free* air travel (*just paying taxes and fees, usually under $50), business or first class upgrades, airline fee reimbursement, monthly Uber or UberEats credits, free Centurion and Priority pass airport lounge access, and the list goes on. My wife and I have earned over 1.5 million points over the past 2 years without paying a dime in interest or fees. 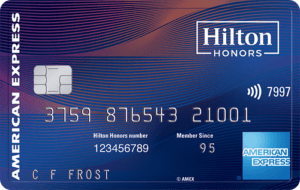 Thanks to military annual fee waivers, the outstanding travel, hotel, and airline benefits of the best credit cards are unlocked for military personnel and their families. Learn more about how servicemembers and their spouses can get their annual fees waived on Chase and AMEX cards in my free course. 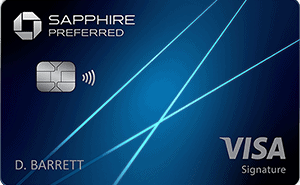 The Chase Sapphire Preferred is offering an increased 60,000 sign up bonus. This is the best bonus we have seen on this card in years and is a great opportunity to earn some more UR points. I recommend US military servicemembers open up a Chase Sapphire Preferred and then upgrade to a Chase Sapphire Reserve after 1 year, primarily for the $300 annual travel credit. Learn more about the best Sapphire Preferred and Reserve strategy for military servicemembers in this article. You can earn up to 300,000 Marriott points with the 3 new Marriott Bonvoy cards from Chase and American Express. All 3 cards have the annual fees waived for military. More details here. American Express is offering limited time offers on their 3 best Delta credit cards: Reserve, Platinum, and Gold. You can earn up to 210,000 Delta points with these 3 cards in welcome bonuses. Unlimited 2x points per dollar spent. Your $5000 minimum spend will net you 10,000 points. Add that to the 70k welcome bonus equals 80,000 points, or $800 of travel credit to redeem. You can upgrade this card to another AMEX Platinum after 1 year of card membership. This gives you an additional $200/year of Uber/UberEats credits and $200/year of airline fee credits or gift cards. 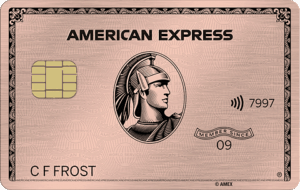 You still pay no annual fee if military, giving you another AMEX Platinum card for free. I have 3 at the moment and I'm working on 3 more. Sign up for my course here to see how I do it. I was referred to your website to learn about the SCRA benefits for military members, and have signed up for your free course. I had a question I’m sure you get all the time, but have you heard of any national guard /reservists being able to take advantage of these benefits? If for example I’ve got title 10 orders this year for over 30 days, but next year I don’t, but I’m still on reserve status, would I end up paying the annual fee for the that year? My understanding is if that you submit the Title 10 orders, you will receive the annual fee waiver for that year and retroactive for any annual fees paid in the past few years. Furthermore, I believe (but cannot confirm) AMEX checks SCRA status once a year. If they discover you are no longer showing as active duty status in the DOD database, they will probably ask you to provide orders showing you are still eligible for SCRA benefits. If you cannot produce evidence to support SCRA support, they will probably notify you of removal from SCRA protection and give you a few months to close any accounts you don’t want to pay annual fees on. Best thing to do is try it and let us know what happens! Worst case scenario you pay an annual fee. Best case you discover how the system works and can share the knowledge with all your fellow servicemembers.